➡ View the complete range of Cembre Hydraulic Crimping Tools – the Cembre hydraulic range of cable crimping tools are lightweight, easy to handle and feature spring loaded handles allowing the die sets to be advanced with one hand. 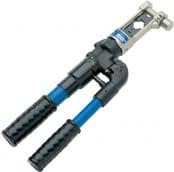 Hydraulic crimping tools are available for crimping cables up to 400sqmm cross sectional area and working at LV and HV including 11kV/33kV – hydraulic pressheads are available for crimping cables and overhead lines up to 1200sqmm. Thorne & Derrick can provide expert tool recommendations to ensure customer selection of the most suitable hydraulic crimping tool for the cable application – contact us to discuss your requirements. T&D have been Official Distributors for Cembre since 1985 – full range of hydraulic crimping tools are available for delivery to UK and international destinations from stock; battery type cable crimping tools are also available. 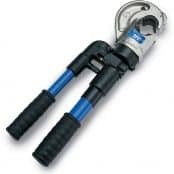 Pictured below the Cembre HT131-C hydraulic crimper is the preferred tool by LV HV jointers for installing LV HV cable lugs and splices up to 400sqmm – the crimping tool is compact and robust designed for use in limited access cable trench or control panels. The tool features a double speed crimping action: i) fast advancing speed for quick approach of the the die sets to the connector and a ii) slower and more powerful speed for crimping the copper tube effectively onto the conductors. Cembre crimping tools are supplied in protective storage cases housing the die sets and tool manual. 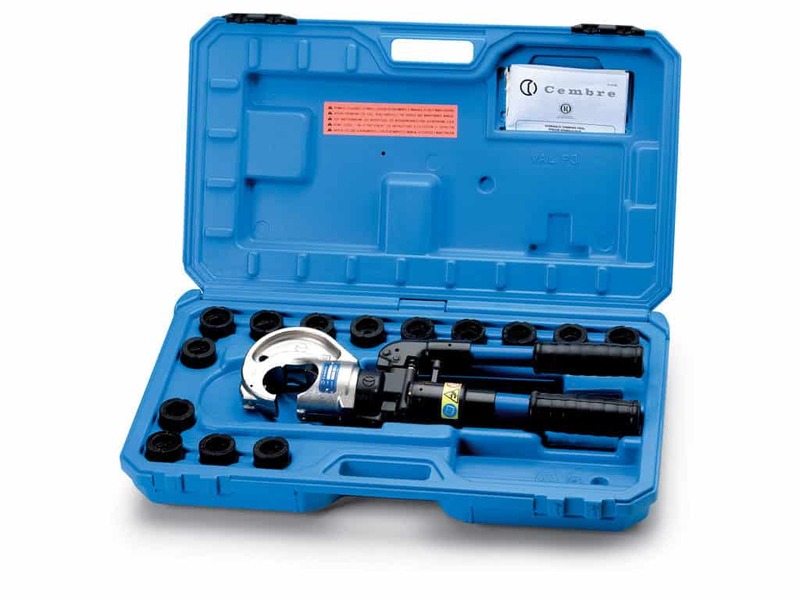 The following table overviews the hydraulic crimping tools manufactured by Cembre for installing cable crimp lugs and connectors up to 400sqmm – for 500/630sqmm and up to 1000sqmm a full range of hydraulic pressheads are available. 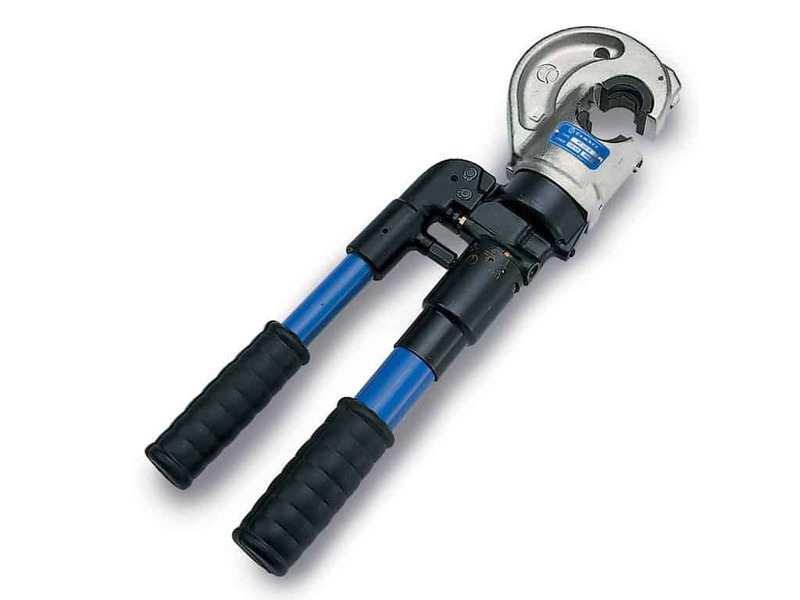 T&D – Cembre distributors and stockists for their ranges of hydraulic crimping tools and pressheads for applications up to 1200sqmm.